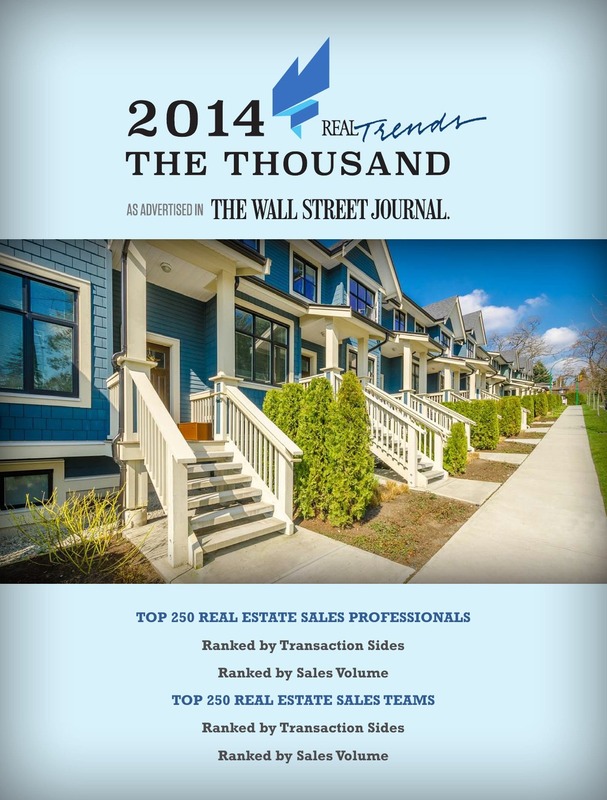 Alex has been practicing real estate in the Silicon Valley Bay Area since 1999. Embracing his role as a Real Estate Evangelist, he strives to move the industry towards a model of smaller business with stronger fidelity to clients, while combining focused negotiation, innovative technology and reliable real estate practices. Alex is fluent in both English and Mandarin Chinese. He has traveled to many different regions of the world, including a recent trip to South Africa to teach foundational business principles to local real estate agents. This exposure to diverse cultures has helped him better understand and serve his clients who are often foreign-born and western educated. 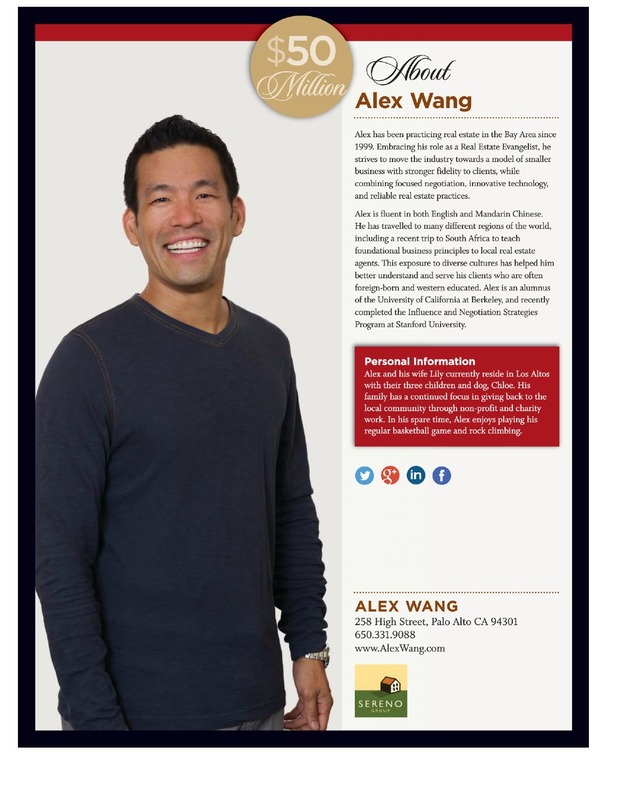 Alex is an alumni of the University of California at Berkeley, and recently completed the Influence and Negotiation Strategies Program at Stanford University. 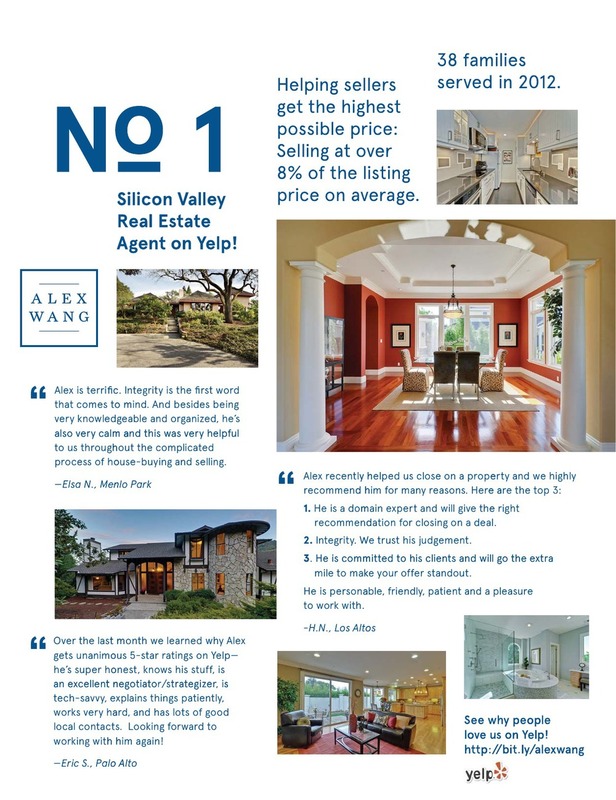 Alex and his wife Lily currently reside in Los Altos with their three children. His family has a continued focus in giving back to the local community through non-profit and charity work. In his spare time, Alex enjoys playing basketball and rock climbing.